Greiner Buildings is the most trusted pole barn builder in Clinton, IA and throughout the Midwest. For the past 25 years, we have been providing residents of Clinton with professional pole barn design and construction services. Greiner Buildings can construct any type of pole barn you are needing. We regularly construct specialty combination buildings that are customized to your needs and lifestyle. This includes our Shome® (shop and home combination), as well as lined shop and machine shed combinations, barndominums, and more. We are proud to introduce our very own specialty product, the Shome®. As the perfect combination of shop and home, the Shome® is becoming increasingly popular for residents in Clinton, Iowa and surrounding areas. From full size work shops to smaller, attached hobby shops, we can create whatever you are looking for. Greiner Buildings has designed and constructed beautiful homes with custom kitchens, loft areas, patios, garages, and more. If you are interested in the possibility of a Shome®, contact us today. Our company treats every project that we take on with extreme care and excellence. All of our contractors are employed by Greiner Buildings and are highly trained and skilled in their field. 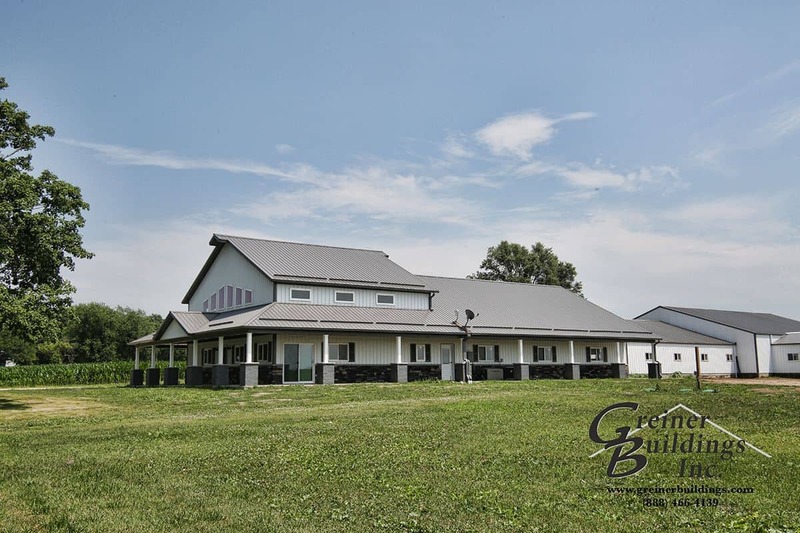 With years of experience and a dedication to honesty and integrity, let Greiner Buildings be your first choice for pole barn construction in Clinton, Iowa.